Once the pumpkin carving is over and the Halloween treats have been hoarded, it’s time to blow out the candles and figure out what to do with all that leftover pumpkin! Every year almost 10 million pumpkins are carved into Halloween lanterns in the UK and most will end up in rubbish bins afterwards, that’s around 18,000 tonnes of extra food waste. It takes five months to grow a full-sized pumpkin and seems such a shame to let all that goodness go to waste! So what to do with those pumpkin scraps? Surplus material from your pumpkin carving can be used in a variety of ways. 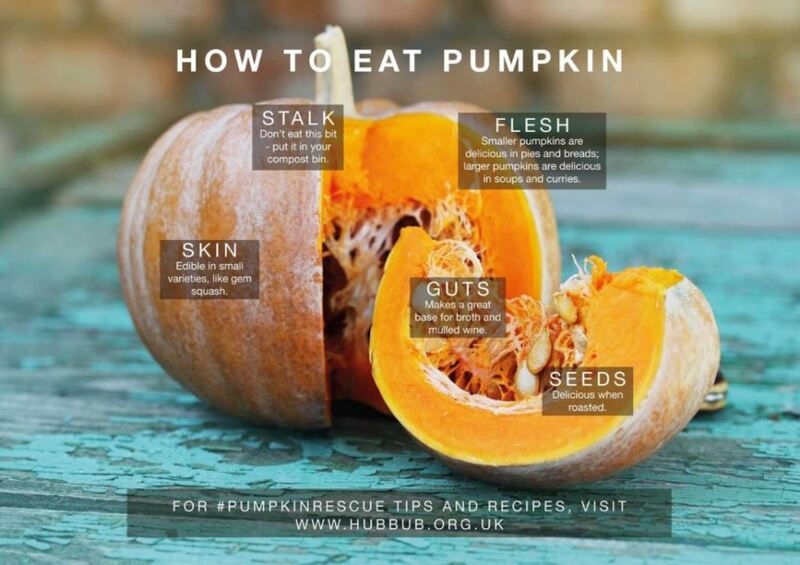 The flesh can be put to good use in traditional treats like pumpkin pie, stews or tasty warming soups and curries. 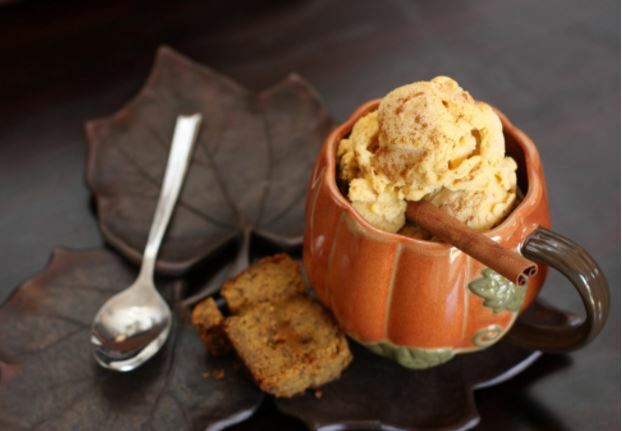 Healthy treats like pumpkin, carrot and apple muffins or almond, cranberry and pumpkin seed snack bars are also a hit and if you’re feeling a little more adventurous, try making some pumpkin spice ice cream, oatmeal, pumpkin and gingerbread or even pumpkin beer! Don’t forget to use all those lovely seeds too. Roasted seeds can be the best bit of a pumpkin – not only are they delicious but also nutritious. Separate the pumpkin seeds from the flesh by rinsing under running water. Boil in some salted water, then lay on a tray with a sprinkle of salt and drizzle of oil and bake on a high heat for about 20 minutes (depending on the size of the seeds). If you feel like getting extra creative with your flavours, try these healthy roasted pumpkin seeds six ways recipes. 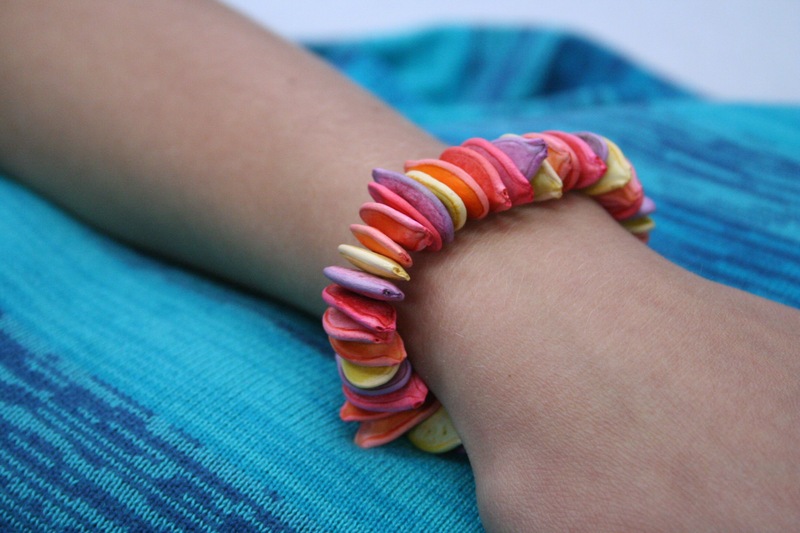 If you’re feeling crafty, colour some seeds with food dye then thread together using a needle to create pumpkin bracelets and necklaces. You could also poke holes in a plastic bottle and fill with the pumpkin seeds to make a bird feeder for your garden. Any parts of the pumpkin that are not suitable for eating i.e. where a candle may have scorched the flesh, can be mixed into your compost bin or green-cycled through your garden waste caddy. And lastly, make sure you store some of the larger seeds in a cool, dry spot for planting next Spring! check out this guide to growing pumpkin seeds for your garden. What do you do with your leftover Halloween pumpkin? Share your creations!